Helping families and corporations through the immigration maze! The official USCIS application is now available! At the Lozano Law Firm we can help you get started with your application today! Start by filling out our contact form. Learn How: Take Action Now! President Obama announces the Deferred Action Plan promising that young educated DREAMers can now apply for work permits in the United States. 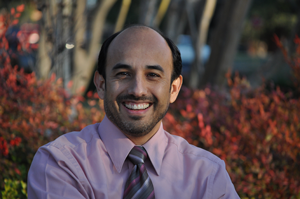 With years of experience and an expert in the field, Alfredo Lozano is the perfect choice for DREAMers. We focus in immigration and naturalization services, now including the announced Deferred Action plan. We walk you through the Immigration maze. By having our professional representation, you are far more likely to have your case resolved more quickly! The application from USCIS is here! We can help you apply today! President Obama’s New Exectutive Action changes DACA! On November 20th, 2014 President Obama announced that young educated dreamers can now apply for work permits in the United States. This change is not the DREAM Act that congress has been debating for the last 11 years. The president's announcement does not offer legal status in the United States. It offers deferred action on certain immigration enforcement cases. How it works: You identify yourself to the Immigration Service as a person who does not have legal status in the United States, but who entered the country as a child, attended school, fought in the military, and didn't commit any major crimes. You show the Immigration Service that it's a waste of their time to try and deport you, and Immigration Service gives you a work permit and a social security number. 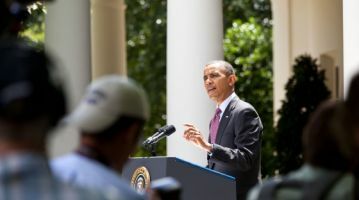 Read more: President Obama’s New Exectutive Action changes DACA! Let an experienced Texas attorney achieve your immigration to the United States. At The Lozano Law Firm, we pride ourselves with integrity, honesty, and hard work – and we mean it. Our team strives to improve and permanently fix your immigration status – that's our commitment. As a professional team, we have acutely studied immigration law. As a family, we have lived the hardships of immigrating to this country, which gives us a unique perspective on our client's needs and worries. We understand that an immigration process can be difficult and even nerve wrecking, and this is why it is important to have an attorney on your side who can walk you through the steps and help you understand what to expect. Our reward is knowing that our clients have a clear understanding of what to expect and to see them immigrate successfully to the United States. A spirited law firm devoted to conventional values. Years ago, The Lozano Law Firm was founded on traditional values, which remain time honoured today. Our attorneys are held to the highest ethical standards, while staying on the cutting edge of technology and abreast of the latest changes in immigration laws. You can trust our firm for honest representation, scrupulous attention to detail, leading to your high and complete satisfaction. Our history guides us through the present and helps us with your future. Mr. Alfredo Lozano is a first generation born American, the son of Mexican immigrant parents hailing from Sabinas, Coahuila, Mexico. After four years of serving his country in the United States Marine Corps, Mr. Lozano enrolled and graduated with a B.A. in Business Administration from the University of Texas San Antonio. He later attended law school in Houston where he discovered immigration law, and his interest in helping those with immigration needs. In addition, he also had the opportunity to study in Monterrey, Mexico; in a spring law program at the Instituto Technologico de Estudios Superiores de Monterrey, where he further fined tuned his legal Spanish. Starting a new chapter in the book of civil service. 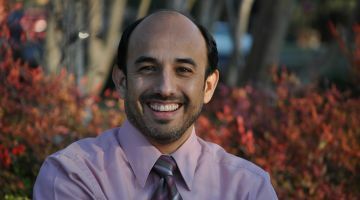 During and after law school Mr. Lozano worked for law firms in Houston , Beaumont, and Corpus Christi, before working with a San Antonio firm handling deportation cases. An internship with the Mexican Consulate in Houston coupled with his past personal experiences, proved very influential in Mr. Lozano focusing his practice in immigration law. Now with his own firm, who focuses on immigration law only, he provides legal services Nationwide to families and companies. You don’t have to deal with inexperience and impersonal counseling. Unlike others, you will greatly benefit from our dedicated personal service. Your case will be handled directly by the senior attorney not to be passed off to less experienced staff. We’ll explain the process from beginning to end, to ease your anxiety as we decipher immigration law for your benefit. You can expect professional friendly service as we help you through a difficult process. Affordable and approachable; The Lozano Law Firm caters to your needs of reliable, knowledgeable and experienced counsel. Your options will be honestly and accurately conveyed to you. Are you getting the right immigration help? Many people offer help with immigration services. Unfortunately, not all are authorized to do so. While many of these unauthorized practitioners mean well, all too many of them are out to rip you off. This is against the law and may be considered an immigration services scam. 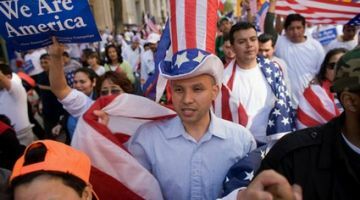 USCIS wants to combat immigration services scams by equipping applicants, legal service providers and community-based organizations with the knowledge and tools they need to detect and protect themselves from dishonest practices. To accomplish this goal, USCIS launched the Unauthorized Practice of Immigration Law (UPIL) Initiative. As part of the effort, we've partnered with several government agencies to identify resources that can help you avoid immigration services scams.